When I decided to pursue my love for makeup, and that was when I enrolled in makeup school, my concern back then was what are the good makeup brands out there. I read reviews or asked makeup artists who have been in the business for a long time. Well, there was a time (there still is) when I went thru trial and error just to try out the product/s myself and find out whether it's good or not. After investing on makeup, I then realized the importance of having a good set of brushes. Gone are the days when I would think that tools don't matter. They really do. And back in those days, the good brushes that I know (and most people do recommend), don't come cheap. Good thing there's Charm brushes nowadays! (wink) And so, apart from making sure that my makeup would stay bacteria-free, I also have to make sure that my brushes would not only stay bacteria-free, but also in tip top shape! And so, the hunt for a good makeup brush cleaner began! 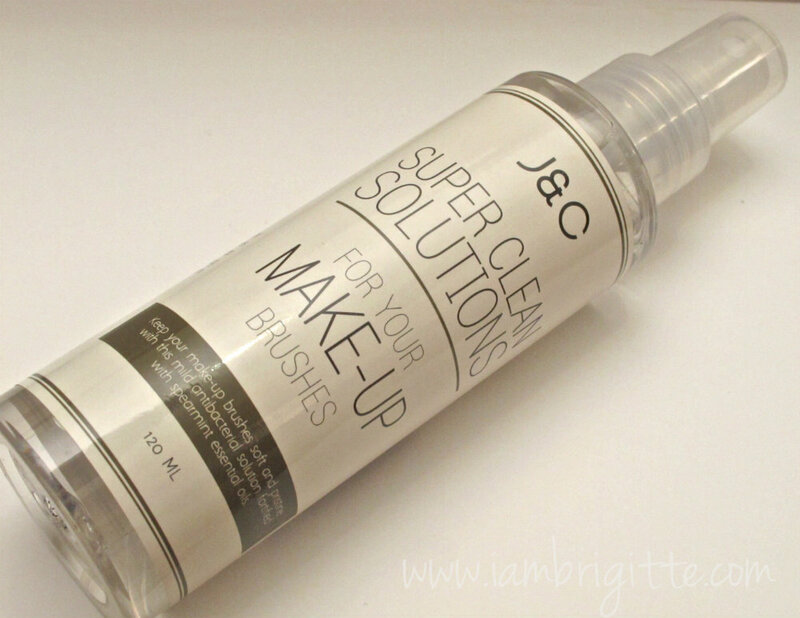 I've tried a lot of makeup brush cleaners, but my favorite is still the J and J Baby Milk Wash! I love how it gently cleans my brushes, and of course, the delicate milky scent. But I don't always have access to water to clean my brushes most especially when I'm out in gigs. And besides, I don't have all the time to wait for my brushes to dry when my next clients is already sitting on my makeup chair waiting for me to start working on her. I can't just say, "Sorry dear, my brushes are still wet...wait lang ha!?" (laughs) Of course, I have a few extra brushes, but what if it's one of those days when my brain failed me and just forgot to bring them all? Patay na! So it's just great to know that there are brush cleaners that can help you spot clean your precious brushes. I've tried a number of brands already, but it certainly won't hurt to explore new products. Besides, it's always good to have options...tama!? So here's my newest companion during my makeup gigs that certainly doesn't fall short of my expectations whenever I need my brushes to get cleaned...fast! It's a no-brainer makeup brush cleaner that cleans your brushes without the need to rinse with water. It's quick-drying too! And geesh, with its spearmint scent, I am absolutely addicted to it! The first time I've used it, I wanted to use it as a gargle na! (laughs) To some, the scent might come too strong, but for me, it's absolutely LOVE! It comes in a sturdy, plastic bottle so careless people like me won't have to worry. It has an easy-to-use spray pump (I've tried some which can be a pain to use and I hate it!) 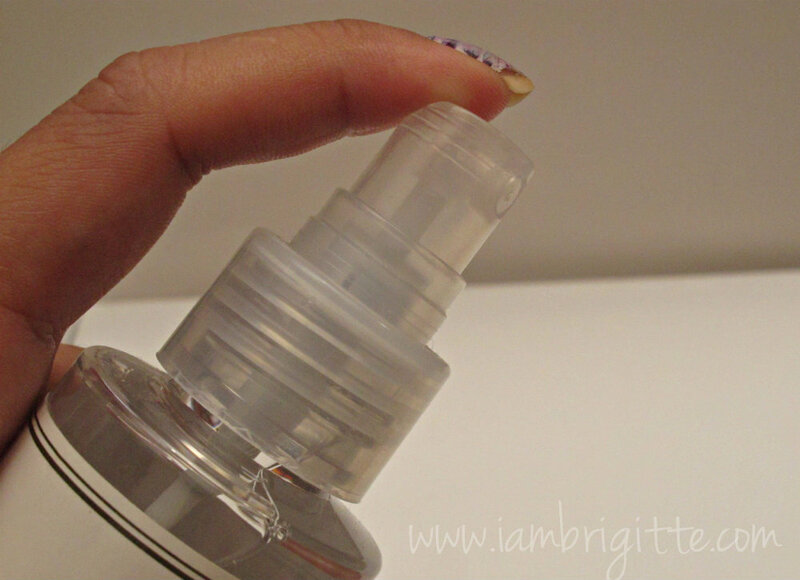 that dispenses the right amount of product..so no wastage too! It does have alcohol but my brushes remain soft after. I've used some that left the brush hairs so stiff that I had to wash my poor babies again with my milk wash. But with this cleaner, brushes are ready to rock in no time! It does get rid of cream-based makeup, but it does take a bit longer to do so. We all know how cream-based stuff can be such a pain to get rid of. So what I do is I wipe the brush with wet wipes then use this cleaner after. The (beauty and) brains behind this product are the superwomen of ARC PR, Jenny Yrasuegi and Celine Gabriel-Lim. With their busy schedules, they are always on the lookout for stuff that will not only deliver good results, but will also work in a snap! 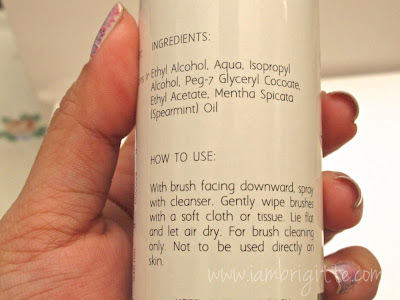 This makeup brush cleaner is just the beginning, as they will be coming up with more products soon. For Php395 per 120ml bottle, I think this has got to be the cheapest brush cleaner I've tried that works. To know more about this product, please like J&C Super Clean Solutions on Facebook.